How’s that turkey coma coming along? Thanksgiving has long been my favorite holiday of the year. And this year was no exception. We had a house full of adults and children, way too much food, and a whole lot of football. Everyone must have had a great time. How do I know? A couple people napped on my couch. I consider it the greatest of all compliments when non-family members feel comfortable enough to sleep in my family room. Undone Is Beautiful Journal. Perfect gift for the beginning of a new year! 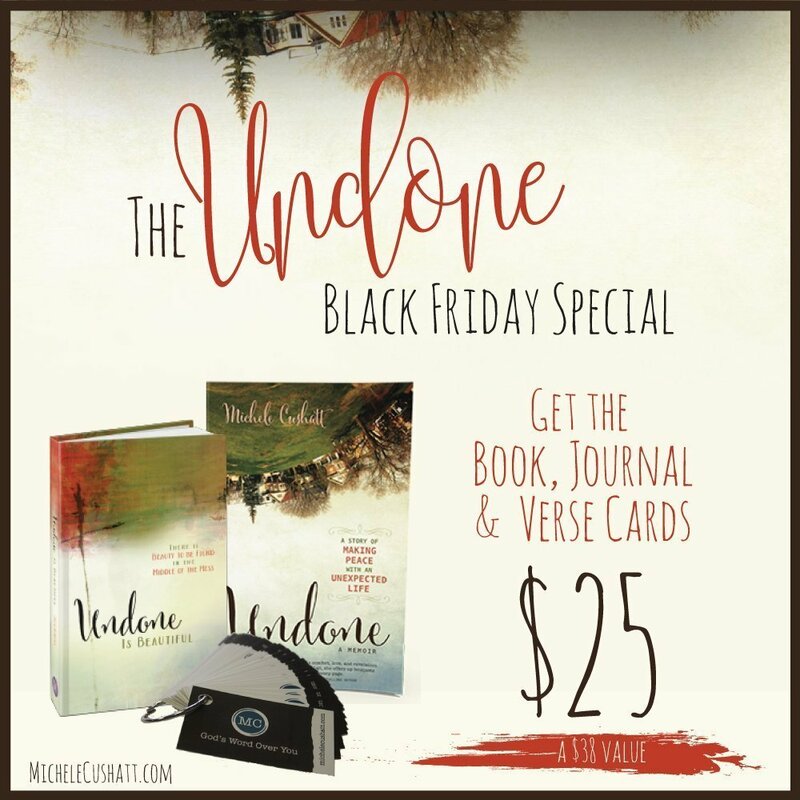 The Undone Book/Journal bundle is a $38 value. But for the next few days, we’re selling the entire package for only $25. Crazy! This would be the perfect, budget-friendly gift for a friend, teacher or loved one!